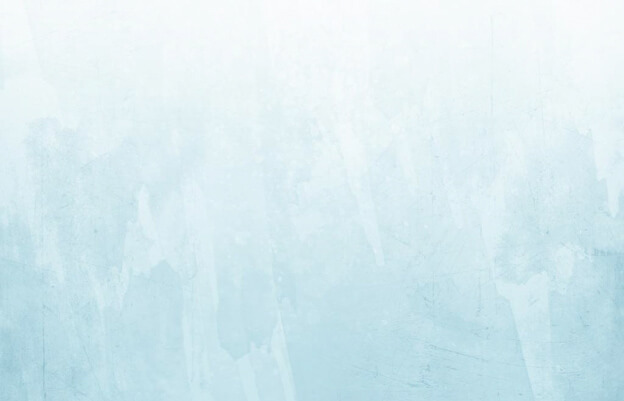 We maintain our records and conduct our environment so that we are providing the highest level of protection for your medical information, while still giving you with the highest level of medical care. This notice applies to all of the records of your medical care which are received or created by the employees at The Art of Plastic Surgery. Your other medical treatment providers outside of our clinic may have different policies or notices regarding the use and disclosure of your medical information. All of the below privacy information relates to our policies on disclosing any of your medical information and how it can be accessed. Your medical information, also referred to as “protected health information,” is that information about you, including demographic information, that may identify you and that relates to your past, present or future physical or mental health information and related health care services. First of all, we may use and disclose protected health information about you so that The Art of Plastic Surgery and its medical professionals can treat you. For example, we may use your past medical information in order to diagnose your present condition, or we may provide information regarding your medical condition to another doctor to whom we refer you for additional care. We may also use and disclose protected health information about you for financial transactions related to the medical treatment we provide you. For example, we will submit protected health information about you to your insurance company in order to receive payment for services we have provided to you. We may also use and disclose protected health information about you for our health care operations – in other words, those other tasks that we need to perform to make sure that you are provided the highest quality of medical care at our facility. For instance, we may use your protected health information to evaluate how we can better meet your needs or we may provide protected health information about you to an auditor who reviews our books so that we can keep our license to provide medical services in Florida. The following uses of your protected health information may be made without any additional authorization from you. (Not every use or disclosure is listed, but be assured that all uses and disclosures made by The Art of Plastic Surgery are only those which are permitted under the law). We may use and disclose your medical information to contact you for a reminder that you have an appointment at our office. We may disclose to a member of your family, a relative, a close friend, or any other person you identify, your protected health information that directly relates to that person’s involvement in your medical care. If you are unable to agree to this disclosure, or if you object to it, we may disclose such information as necessary if we determine that it is in your best interests based on our professional judgment. We may also use or disclose protected health information to notify or assist in notifying a family member, personal representative or any other person that is responsible for your care of your location, general condition, or death. Finally, we may use or disclose your protected health information to an authorized public or private entity to assist in disaster relief efforts and to coordinate uses and disclosures to family or other individuals involved in your health care. We may use or disclose your protected health information in an emergency treatment situation. If this happens, Dr. Fasano will attempt to obtain your acknowledgment of this notice as soon as reasonably practicable after the delivery of treatment. The Art of Plastic Surgery may sometimes use and disclosure protected health information to tell you about certain health-related benefits or services that may be of interest to you, such as seasonal specials or coupons we are offering. We may disclose protected health information to a health oversight agency for activities authorized by law. These activities include, but are not limited to: audits, investigations, and inspections. These activities are necessary for the government to monitor the health care system, the delivery of health care, government benefit programs, other government regulatory programs and civil rights laws. They ensure that health professionals are offering the best possible health care to our patients. We may disclose your protected health information to a public health authority authorized by law to receive reports of child abuse or neglect. In addition, we may disclose your protected health information if we believe that you have been a victim of abuse, neglect or domestic violence to a governmental entity or agency authorized to receive such information. In such cases, the disclosure will only be made in accordance with Florida state law. We may disclose your protected health information to a person or company required by the Food and Drug Administration (FDA) to report adverse events, product defects or other problems; biologic product deviations; track products; to enable product recalls; to make repairs or replacements; or to conduct post-market surveillance, as required. We may release protected health information if asked to do so by a law enforcement official, in response to a court order, subpoena, warrant, summons, or similar process. Other related disclosures may include: disclosures relating to individuals who are Armed Forces personnel, to national security and intelligence agencies, as well as disclosures to authorized federal officials for the protection of the President of the United States or other authorized persons or foreign heads of state. We may disclose protected health information about you to a coroner or medical examiner for identification purposes, determining cause of death, or for the coroner or medical examiner to perform other duties required by law. We may also disclose protected health information about you to a funeral director in order to permit the funeral director to carry out legal duties, and may do so if death is reasonably anticipated. Your protected health information may also be disclosed for certain organ donations to which you have agreed. We may disclose your protected health information, consistent with federal and Florida laws, if we believe that the use or disclosure is necessary to prevent or lessen a serious or imminent threat to the health or safety of a person or the public, or if it is necessary for law enforcement authorities to identify or apprehend an individual in any of these cases. You have the right to inspect and copy any protected health information that may be used to make decisions about your medical care. Usually this right includes both medical and billing records. You must submit your request in writing for this process. If you request a copy of the information, we may charge a fee for the costs of making copies, mailing or other supplies associated with your request. Your request to inspect and copy your information may only be denied in very limited circumstances and you have a right to request that any such denial be reviewed. You have the right to request that we restrict the use and disclosure of your protected health information for treatment, payment and health care operations. We are not required to agree to your request. If we do agree, we will comply with your request unless the information is needed to provide you with treatment in the case of an emergency. You also have the right to request to receive private health information communications (such as appointment confirmations) by alternative means or at alternative locations. For instance, you can ask that we only contact you at your place of work or by mail. To request confidential communications, you must make your request in writing to us at the address listed above and elsewhere on our website. We will not ask you the reason for this request. We will accommodate all reasonable requests. Your request must specify how or where you wish to be contacted. If you feel that the protected health information we have about you is incorrect or incomplete, you have the right to request that your protected health information be amended. Only the health care entity (e.g., doctor, hospital, clinic, etc.) that created your protected health information is responsible for amending it. For more information about the procedures for submitting such a request, contact The Art of Plastic Surgery directly. Your request must state a time period which may not be longer than six (6) years prior to the date of your request. Your request should indicate the form in which you want the list (electronic copy or physical copy). You will be charged for photocopying we do to meet this request. To obtain a paper copy of this notice, contact us directly by phone, in person, or in writing. The Art of Plastic Surgery reserves the right to change this notice at any time. We reserve the right to make the revised or changed notice effective for protected health information we already have about you, as well as any information we create or receive in the future. We will post a copy of the current notice on our website. 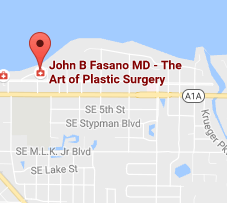 If you believe your privacy rights have been violated and/or that the staff at The Art of Plastic Surgery has not followed this policy, you may file a complaint with Dr. John Fasano or with the Secretary of the Department of Health and Human Services. All complaints must be submitted in writing. You will not be penalized for filing a complaint. Any other uses and disclosures of your protected health information not covered by this notice or the laws that apply to Dr. Fasano will be made only with your written permission (“authorization”). If you provide permission to use or disclose protected health information about you, you may revoke that permission, in writing, at any time. If you revoke your permission, we will no longer use or disclose protected health information about you for the reasons covered by your authorization. You understand that we are unable to take back any disclosures we have already made with your permission, and that we are required to retain our records of the medical treatment or other services that we have provided to you. If you have any questions regarding this notice or anything contained in it, please contact the office of The Art of Plastic Surgery. We want to provide you with the highest-quality medical care and keep you well-informed.